During the past several weeks, a new technology craze has invaded our towns and cities. People are wandering around aimlessly looking at their phones, it’s Pokémon Go. One of our avid collaborators, Ms. Keishon Thomas, the Macon-Bibb County Extension agent has come to our rescue to help us understand this new trend, and at the same time alert our readers about the importance of getting involve with the game, but in a safe way. Let’s review what Thomas says and get active! The game’s developers, Niantic Laboratories, stated the intent was “to get players out and explore the world around them, explore their neighborhoods in a different way and get exercise”. In this case, your phone shows the animated Pokémon and other characters in real time in your real environment. The object of the game is to catch “Pokémons”, small animated characters that come in a variety of shapes and colors. Players ‘hunt’ Pokémon by walking in their real environment armed with “Pokéballs”. Players are directed to landmarks called “Pokéstops”, where they re-up on Pokéballs and other tools to catch Pokémon characters. The Pokéstops are everywhere; parks, churches, government buildings and even at your neighbor’s yard. Because catching those little characters is distracting, players sometime put themselves into dangerous situations as a result of being unaware of their surroundings. Be alert at all times. There have been reports of people walking into trees, traffic and even falling while playing. Never go illegal to capture Pokémon. No trespassing or jaywalking. “Pokemons” can appear anywhere. Be safe and use common sense. The animated characters appear on your phone in a real environment, they can appear in your car and they move to avoid capture. Driving requires your full attention and hunting Pokémon while driving is a no-no. Arrive alive!!! Download the right app from a trusted source such as the Apple Store or Google Play. There have been reports of apps that have malware that could harm your device. Children should never play alone. They get distracted easily. It’s rewarding to play along with your child and capture characters while exercising. Monitor your data usage. The game utilizes GPS and therefore eats data for lunch and dinner. It won’t be so fun when you receive your phone bill. Players should also be mindful of in-app purchases. While the game app is free, there are in-app purchases within the game and they have a cost. My children have been told not to purchase anything online unless they have permission for the purchase. The same goes for the Pokémon Go game. Monitor the weather and stay hydrated. It’s hot outside and pop-up storms can hamper hunting. Avoid complications from heat; carry water with you, take breaks in shaded areas, and wear sunscreen. Lastly, Pokémon Go is a great way to connect generations, get active and have fun while doing so. Good luck and catch‘em all!!! Jessica Hill demonstrate different spices participants can use instead of salt, to prepare healthier meals. DeKalb County is the third most populated county in the state of Georgia. 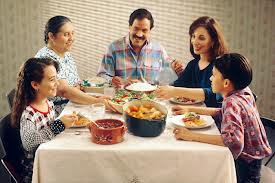 County officials usually highlight the fact that DeKalb has been recognized as one of Georgia’s most culturally diverse communities. More than 64 languages representing Asian, Hispanic, European, and African cultures are spoken. The county has also become a shelter for Asian, African, Iraqi and Latino people who seek asylum due to difficult circumstances in their home countries. 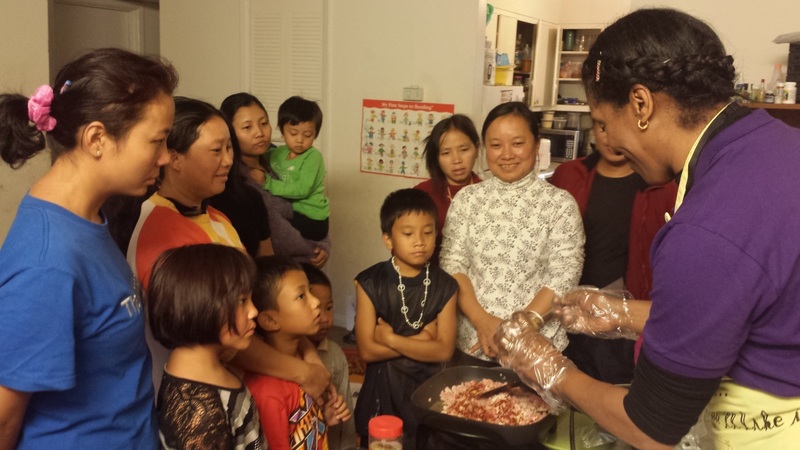 DeKalb County recently delivered a cancer prevention class to a group of Burmese women and children in collaboration with the county’s Women’s Refugee Center. The class, presented with the assistance of an interpreter, provided a great opportunity to educate these new comers and expose them to Extension and the University of Georgia. Funded in part by the American Cancer Society, this class provides crucial information to participants about the importance of early detection, screening activities, and nutrition practices in the prevention of cancer. 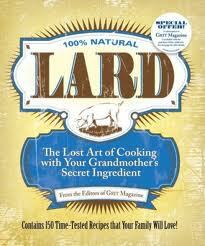 The group enjoyed tasting new recipes that were low in fat and rich in fiber and nutrients. This class is offered to the community at no cost. For more information, please contact your local Extension office. In DeKalb County, call 404-298-4080 and in Gwinnett County, call 678-377-4014. Una de las preguntas más frecuentes que recibimos en la oficina del Servicio de Extensión de la Universidad de Georgia, es “¿por qué usar grasa vegetal en lugar de mantequilla, o margarina en lugar de grasa al hornear?”. Para responder esta pregunta yo uso la siguiente información que le ayuda a las personas a decidir qué grasa usar o cómo sustituir una por otra. • La mantequilla y la margarina en barra son las mejores para hornear galletas y pasteles; hacen el producto más suave, y le otorgan a la corteza del “pie” ese hermoso color café dorado. La mantequilla contiene colesterol, algo de calcio, potasio, y mucha vitamina A. El punto de fusión de la mantequilla ocurre casi a la misma temperatura del cuerpo, por lo que tiene ese “delicioso sabor en la boca”. • La grasa vegetal se fabrica de aceites vegetales. Para convertirla en grasa sólida, los aceites se “hidrogenan”, tratamiento químico que cambia los ácidos grasos poli-insaturados a ácidos grasos saturados. La grasa vegetal se usa para el glaseado en los pasteles. • La manteca de cerdo es más baja en grasa saturada que la mantequilla. La mejor manteca es la que se conoce como “leaf” en inglés que proviene de la grasa cerca de los riñones del cerdo. Tiene un sabor suave y una textura homogénea. Se usa para hacer panecillos y la corteza de los pasteles, además es lo mejor para fritar las dónuts. • Las grasas líquidas son aceites que provienen de las plantas: semillas, nueces y vegetales. Escoja un aceite como el de olivo que contiene un alto porcentaje de grasas poli and mono-insaturadas, sin embargo, su sabor no es adecuado para hornear. Las grasas líquidas no le otorgan estructura a las galletas, pasteles o “pies” pero mejoran la textura en panes para sándwich, panecillos, y panes hechos de manera rápida. • La margarina al igual que la mantequilla batida, no tiene el uso exitoso que tiene la grasa solida al hornear. The Fair Exhibition was a success! 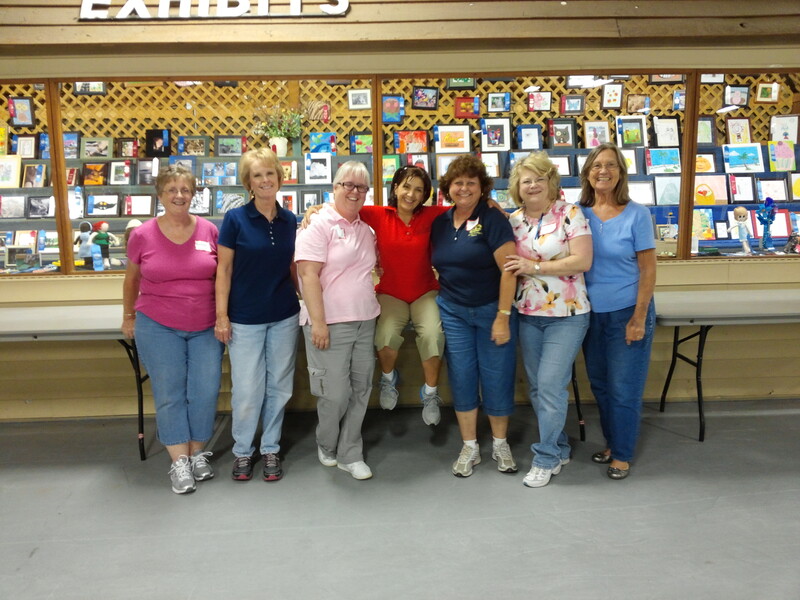 In the center of the picture, I am surrounded by some of the volunteers from the International Association of Administrative Professionals of Gwinnett County with the entries in the background. The Gwinnett County Fair Exhibition for 2013 was a success. More than 150 adults and 90 youths came to the Gwinnett fairgrounds this past Monday, January 9th to enter their art work, needle work, pictures, Holiday Houses, and other items, into the contest that the Family and Consumer Sciences of the University of Georgia Gwinnett Extension organizes every year. France Hernandez from the Extension and I, along with two Extension retirees worked together with 14 volunteers of the International Association of Administrative Professionals of Gwinnett County, led by Phyllis Lowe. We received more than 1,200 items made by the participants. The items entered were marked and classified according to the type of work for judging on Tuesday afternoon. For almost three hours, the 27 invited judges, studied each item to determine the best work submitted in each category. Among the judges were five retiree Family and Consumer Sciences Agents, professional photographers, and experienced teachers. After the judges finished their review, the last task was to prepare the display of all the entries. The winning items had ribbons attached to them. I am thankful for the hard work done by France with all of the forms and paper work, and for Kitty Shepard with her firsthand knowledge with the exhibit during the entire two days. Lastly I am grateful for the work of the volunteers with whom I share stories and jokes with while displaying the items on Tuesday afternoon. Thank you to everyone for their efforts and collaborations that made the Gwinnett Fair Exhibition a success! It’s time to join Walk Georgia! 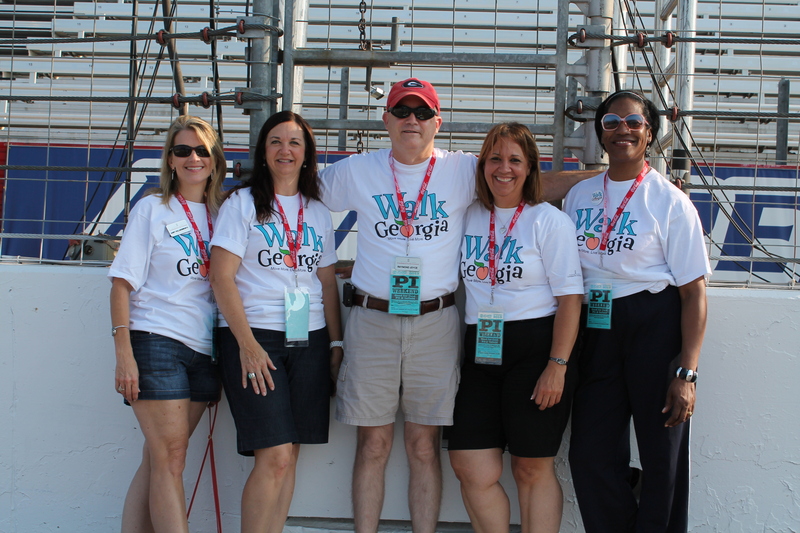 In the picture from left to right: Janet Hollingsworth, Appling County, Susan Howington, Henry County, Raymond Joyce, Laurens County, and Edda Cotto-Rivera and Jessica Hill from DeKalb County. Last Sunday at the Atlanta Motor Speedway, I participated in the “Family Track Walk”, an event were we promoted the first day of registration for Walk Georgia. More than 1,000 people enjoyed this activity which purpose is to stay active and healthy. Many of them took the opportunity to register and participate in the Walk Georgia program. Walk Georgia is a free 12-week program sponsored by the University of Georgia Cooperative Extension, and supported in part by the Coca Cola Foundation. It is designed to help people to maintain a record of their physical activity, and motivate them to stay active and healthy. The time you spend doing your favorite activity is converted into miles so you can travel “virtually” across the beautiful state of Georgia. You have the opportunity to engage in a friendly competition with other residents of your county and see your progress throughout the weeks. Ines and I are engaged in our own friendly competition to discover which county, Gwinnett or DeKalb, has more participants! The registration is open until October 9, 2013. For more information and to register yourself or a team of 4 friends or relatives visit the following link: www.walkgeorgia.org. Either you walk, dance, run or swim, let’s see each other at Walk Georgia!